Tis the season for festivities, fun, and food…lots and lots of food. The holiday season, for many people, ushers in a sense of joy and excitement. However, for parents, teachers, school nurses, and camp directors who are responsible for children with food allergies, fear and anxiety may prevail. According to FARE (Food Allergy Research and Education), about 1 in 13 children in America have some type of food allergy, which is about two children per classroom. Of those children, about 30% are allergic to more than one food. Thus, holiday parties now require new challenges for safe food provision, consideration of non-food alternatives, and ultimately education and preparedness of adult supervisors. The top 8 food allergens in America are milk, eggs, fish, crustacean shellfish, tree nuts, peanuts, wheat, and soy. 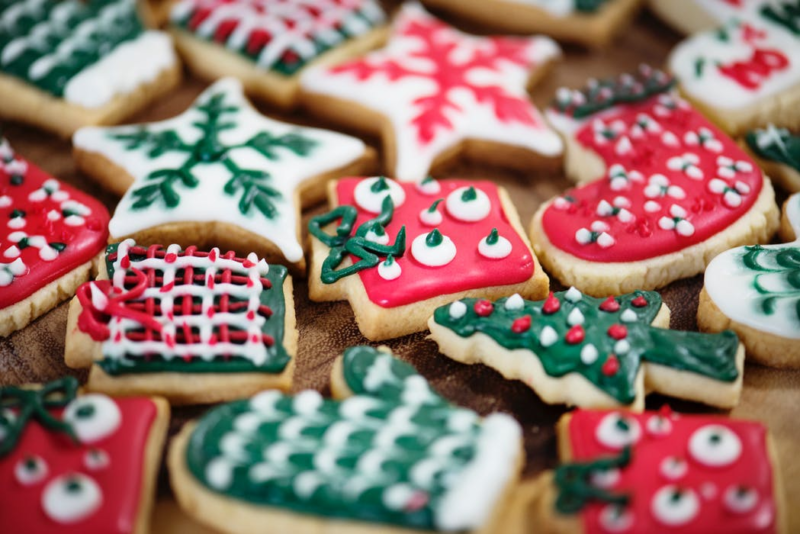 Many holiday dishes and treats contain these foods, and there are simple ways to make these food items safe for children with food allergies. There are a number of companies that are dedicated to manufacturing products free of the common allergens, which can aid in providing safe treats to a classroom party. Additionally, a host of allergy-friendly recipes are available in books (e.g. The Food Allergy Mama’s Baking Book and The Food Allergy Mama’s Easy, Fast Family Meals by Kelly Rudnicki) and online. Non-food crafts and prizes have also gained popularity to avoid a potential reaction. Stickers, colorful pencils, and small toys make excellent rewards in the place of candy (see article from Chicago Parent). For fun winter crafts, try making homemade snow, puzzle piece snowflake ornaments, or an igloo out of used water jugs with your group. That said, there are occasions where having food as part of the party is not avoidable, so it is critical for party hosts to be aware of any allergies their guests or students may have, and to be prepared to act. Parents, teachers, camp counselors, and any adult supervisor for a holiday party should arm themselves with the proper knowledge and tools to keep all party attendees safe. Adults should be aware of who in their group has food allergies and have quick access to each child’s food allergy list. Recognizing the signs of both minor and severe allergic reactions is crucial. A reaction can quickly transition from a minor rash to anaphylaxis in less than a minute, so detecting early signs can be life-saving. Adults must have quick access to injectable epinephrine for each child (such as the EpiPen, Auvi-Q, or other generic sources) and understand how to provide the medication and seek emergency care thereafter. For this reason, it is important to have children’s medical information instantly available, whether they are at camp or school, to ensure that any reaction can be treated swiftly and properly. Electronic Health Record (EHR) solutions like CampDoc.com and SchoolDoc.com provide higher quality, complete documentation that is legible and organized, as an ideal solution for camp and school clinic health staff to effectively manage holiday food celebrations. Wishing you a safe and festive holiday season!